Spring is a time for transformation. How will you evolve? Time to hire! Our ad agency client is dedicated to excellence. Are you an Acct Sup with 4-5 years of B2B experience? Send us your resume. With new client wins, our client is eager to hire. 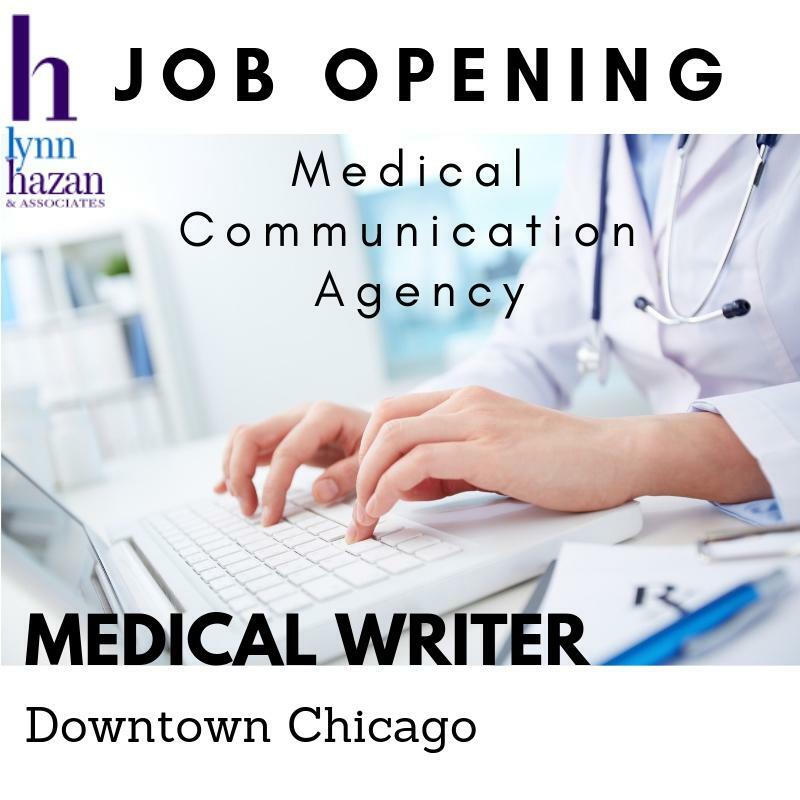 Medical communications agency: We’re getting close to finding the perfect candidate for Medical Writer for its downtown Chicago location. Ideal candidates have PhDs, MDs, PharmDs with strengths in writing to simplify the science of medicine with a creative touch.This client is in growth mode. Let’s connect for future jobs. Flash! New event: Second City with ANA – B2B on April 25th. See below for details. 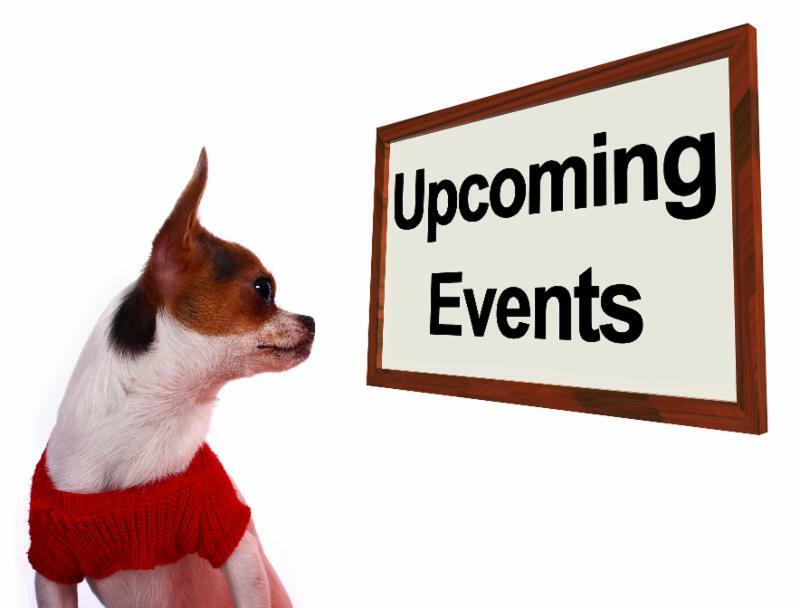 We have free webinars, workshops, events and educational offerings. 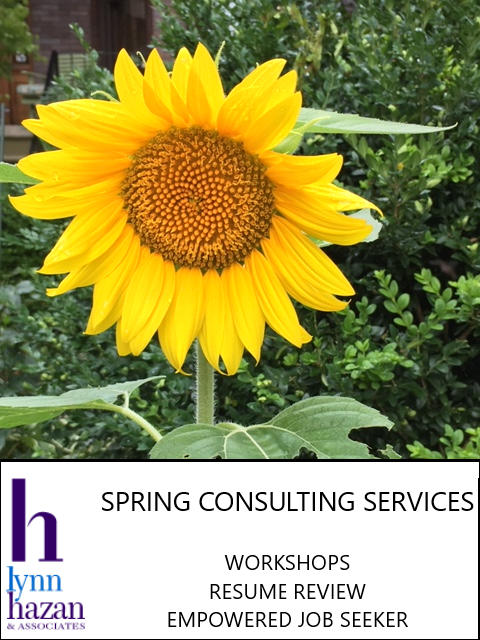 These workshops help to give you the competitive edge. Language and Speech – How are we using them to maximize our abilities to communicate about ourselves and the companies we work for? See this tongue in cheek article from David Houle. 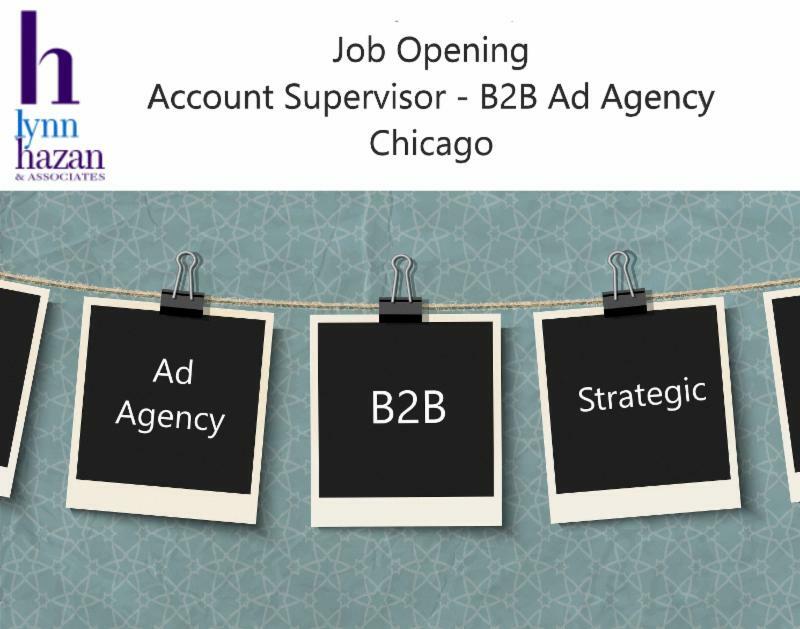 Account Supervisor – B2B Ad Agency – Chicago – NEW! 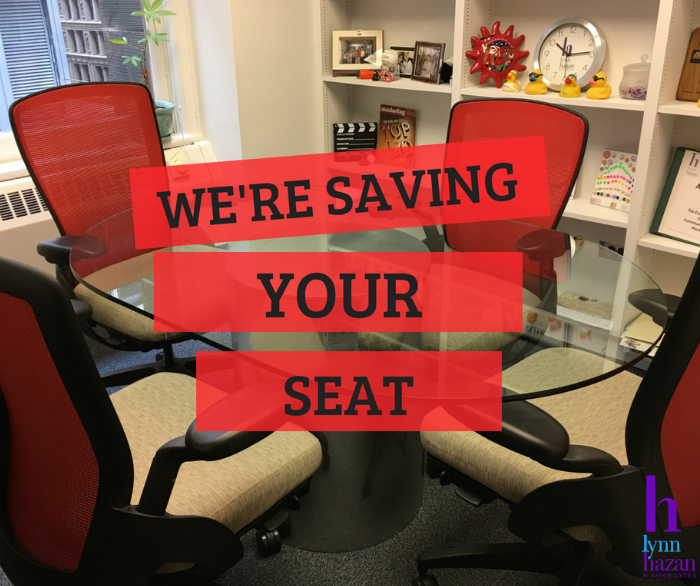 Are you a hands-on ad/PR/digital agency account management or trade association professional? Based in Chicago/Chicago area? Have 4-5 years of prior agency or association experience? Enjoy fostering client relationships and seeing projects through from concept through implementation? Collaborative and team player? Click here to read more. Resume Review & Empowered Job Seeker services. Location: Hamburger Univ in Oak Brook – 2716 Jorie Blvd. MARTY GILBERT’s 3-hour workshop on “The what the hell approach to job search”. Click here to register. e improv methodologies, the session willuse humor and co-creation to test concepts in real-time from audience feedback. 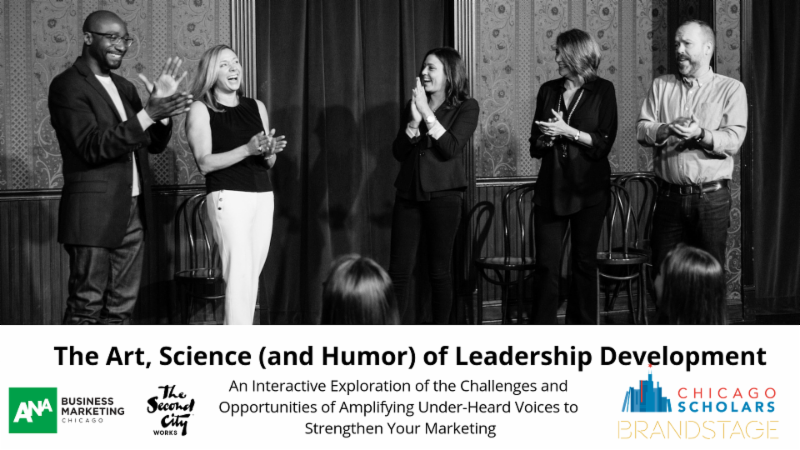 Generate ideas from abundance, validate new thinking and begin to distill down to core insights and concepts about the challenges and benefits of leadership development. Consolidate to a handful of key takeaways and recommendations. Marketing Symposium is an annual business conference hosted by DePaul’s Kellstadt Marketing Group, this full day event features thought leaders and business experts who will cover topics on technology, marketing, innovation and more. Event will include multiple speaker sessions, panel discussions, networking and an evening reception. Past speakers include executives at Amazon Web Services, Nielsen, Leo Burnett, Walgreens, and more. No charge to attend. Donations are welcome. Eat, drink, network…and attend a complementary salsa dance lesson! Running strong since 2010, we’ve been called the “Best Networking Event in Town” over and over! Join us and find out why. Cocktails and hors d’oeuvres included. Mingle with awesome people in great careers just like you … law, real estate, banking, sales, events, hospitality, meeting planning, restaurants, catering, hotels, public relations, transportation, not-for-profit, arts, marketing, museums, human resources, the chambers of commerce and the convention bureau. 4. Select the “Webinar” tab to listen to the webinars live or receive access to previously recorded webinars. Register for the Training in our Career Portal by clicking on the WEBINAR Tab. Then click on the event and register by clicking the webinar registration link for each event listed. Description: What is your brand? You have a brand whether you’re aware of it or not. The brand is called “YOU” and it’s one of the most important parts of the whole job search process. It’s crucial to be able to distinguish yourself from every other candidate but how do you do that? You must discover your natural ability to communicate and articulate why the company would benefit from hiring you. * What is your character, track record, and reputation? * What can they count on if they hire you? * Who is this YOU they are interviewing? Why is this so difficult? Bottom line, through a series of questions during the interview, the hiring manager hopes to get to know the confidence in you. They actually HOPE you are the one. Yet many people struggle to talk positively about themselves. It’s strange to think we have to learn how to relate to ourselves in a positive way, yet this is the case with so many. We all have inner conflicts. When you have difficulty talking about yourself, you’re less likely to openly share about yourself during the interview or while networking. The confidence isn’t there and so often the job offer doesn’t happen. * To compile all of your good habits, accomplishments, strengths, and what others value in you. When you learn to effectively deal with all the negative thoughts that show up you’ll agree that the “mental-ego- chatter” is the only thing clouding our ability to see our full value. Come join us for this very uplifting conversation and Re-THINK the Brand called YOU. You’ll walk away with the edge to win! 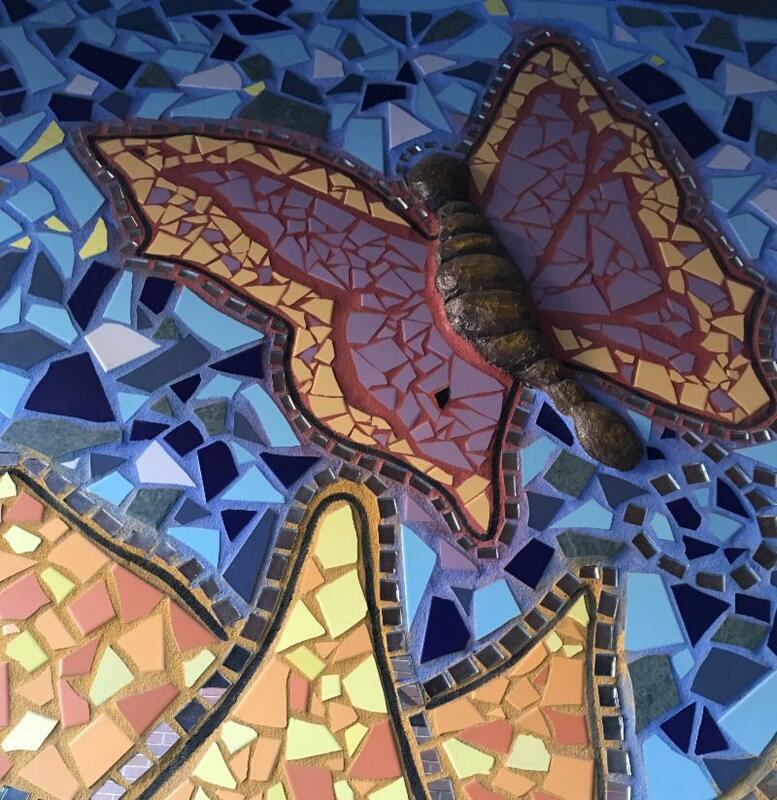 © Copyright 2019 Lynn Hazan & Associates, Inc. All rights reserved.